Golf is a social game! 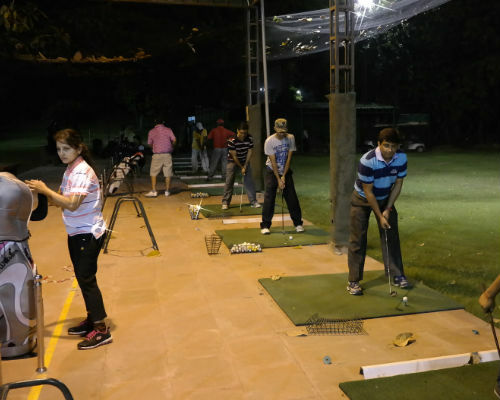 Bring friends along to have fun learning, practicing and playing golf together. 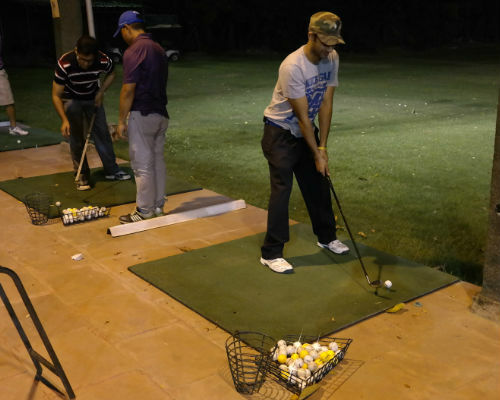 Have a golf lesson at the Qutab golf course driving range. You or your friends need not have any experience or equipment of golf beforehand - your coach will provide everything and tailor to your needs. When you get to the venue, first thing that welcomes you is the lush green ambience and a picturesque setting of the Qutab golf course. This is closely followed by a welcome tour by your host and your coach for the day. 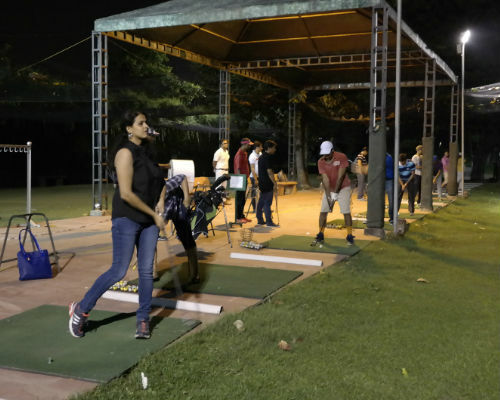 And thereafter the essence of this experience - a session at the Golf Driving Range - where you learn something new together, help each other and even show-off!. 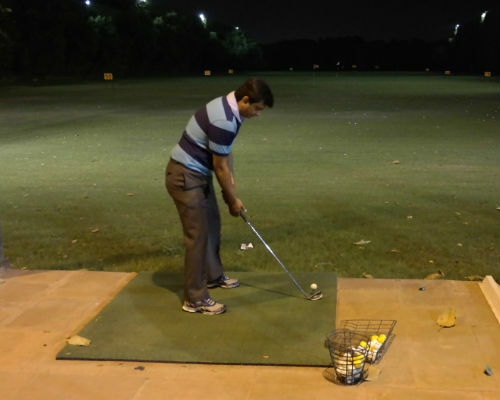 As a beginner, you will learn how to take the right grip, how to swing and drive. If you have previous knowledge of the game, then the instructor will quickly move on to nuances of the game and improving your skill level. Now is the time to drive your golf balls crazy! Each one of you will be given 2 golf clubs, and 50 balls (can easily order more at venue). After you hit each ball, it would be time for self reflection, encouragement from your friends and careful after-shot analysis from your coach. Perfecting the golf swing will take some learning and unlearning. 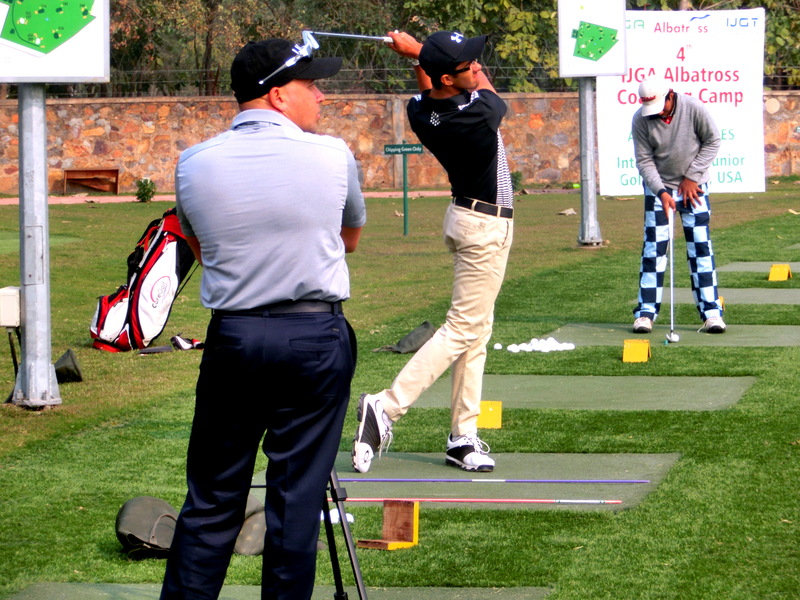 You would need to let go of those cricket and badminton swings and learn the harmonious body flow a golf swing. Your folks will need your encouragement and criticism, and that healthy competition! Who will hit the first 100 yards shot? Can we even get to the 200 yard shot? After a great session at the driving range, it is time to relax at the lovely club-house cafe and restaurant. The morning coffee works wonders, while the evening drinks are refreshing!